Deazie Gibson is an international group fitness instructor and personal trainer who hails from New York City, by way of Texas. 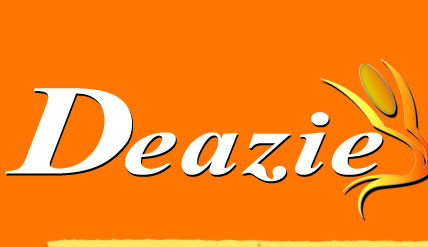 Deazie is known for applying her Drive, Discipline and Determination- D-3 -to every aspect of exercise. Whether it is fitness videos for Gaiam and Acacia, group fitness classes from New York City to Istanbul, Turkey, or personal training, Deazie excels above and beyond with her effervescent personality and athletic approach to fitness. Deazie's own athletic background is in dance, gymnastics, track and cheerleading, all of which she excelled in through high school. After high school Deazie attended Trinity Valley College on a cheerleading scholarship where she and her team were the 1996 National Cheerleading Association National Champions. Upon achieving their title she, and her championship team, performed at the 1996 Summer Olympics in Atlanta. Deazie ultimately transferred to the University of Texas at Austin where she continued to cheer as a Texas Longhorn. After graduating from UT with a BS in Corporate Communications, Deazie accepted a job with Fox News Corporation and moved to the "Big Apple"- New York City! It was in New York where Deazie followed her calling to fitness, and after a year with Fox News, made the bold move to make her passion for fitness a full-time job. Right away Deazie exploded onto New York's fitness scene, where she utilized a broad range of methods to bring outstanding results to her group fitness and personal training clients. From Crossfit to Urban Rebound, jump rope to yoga, Deazie's breadth of knowledge and expertise is unmatched and helped create her reputation as one of New York's truly elite fitness professionals. This was exemplified by her being an award-winning fitness competitor from 2004-present with organizations such as Ms Fitness, National Physique Committee, and Fitness America Pageant. Deazie has also held the FAP regional Texas title. When not actively competing on stage, you can find Deazie in fitness videos with various companies including The Firm and NFL Productions. Deazie has also appeared on WB-11, The Today Show and various publications such as Fitness Magazine, Natural Health and Glamour. Though fitness is a large part of Deazie's life, she still manages to fulfill another one of her passions- helping those less fortunate. Deazie has been able to reach out to poverty stricken areas of Jamaica and the Dominican Republic as a member of the non-profit Airline Ambassadors International (AAI). There she assisted with humanitarian and relief efforts with an emphasis on young families and children. Deazie's concern for families also extends to our nation's armed forces, where she recently competed in an endurance run at Camp Pendleton Marine Base in California, with proceeds to benefit the families of U.S. Marines serving in Iraq and Afghanistan. Deazie's compassion for others also has a local flare, when she recently served as a volunteer for the Special Olympics in New York City. She also mentors local high school students and serves in programs that espouse the benefits of health and fitness with a specific emphasis on young teens. Whether inspiring large audiences through fitness videos or reaching out on a personal level to those less fortunate, Deazie Gibson brings her exuberance and passion for fitness to everyone she touches. Deazie truly believes that with D-3 - Drive, Discipline and Determination, anyone can achieve and succeed. Enjoy your workout goals and as you win you will continue to improve your overall performance.